I love films and I've been toying with various ideas of showing 'classic' movie moments and this is what I've finally come up with. 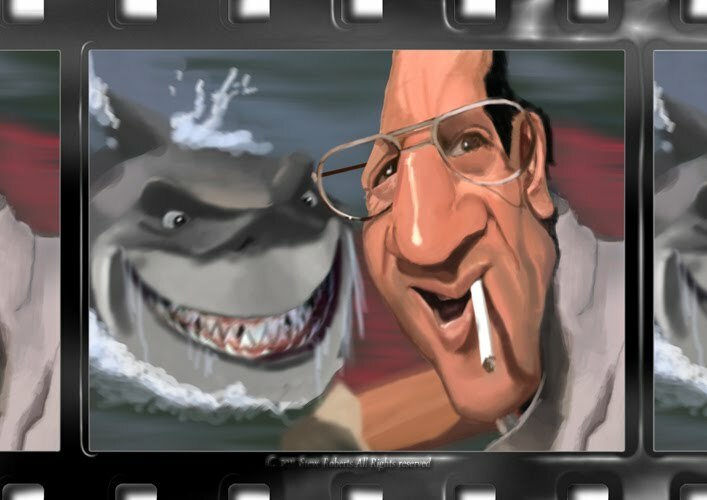 This scene is from the movie Jaws just before the classic line "You're gonna need a bigger boat ... " and I've framed it to look like an actual movie cell duplicating the image to the right and left. 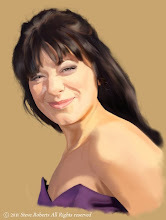 The main painting is not finished yet so this is a WIP but I'm really pleased with the concept and I think I may be painting a lot more of these in the future. 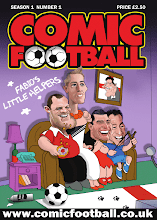 My mind has now wandered over to other ideas such as classic sporting moments, classic tv moments and so on. I just wanted to do something a little different. If you have any classic movie moment suggestions please let me know. 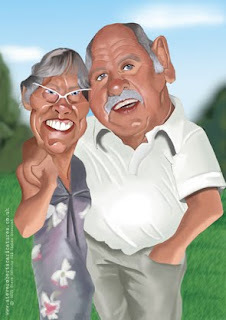 I was looking through my old art work folders earlier this week and came across a folder of watercolour caricatures that I painted around about 2007.It's interesting to look back at your old artwork to see how your style has adapted over time ... and doesn't time fly? I have work dating back to the mid eighties when I was 16 or 17 and it seems like yesterday that I was working on the pieces ... It was nearly 25 years ago!!!! 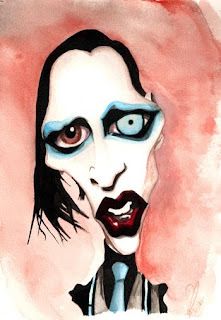 I posted this caricature of Marilyn Manson on Deviant Art in 2007 and its been most successful piece on there to date receiving over 9,000 views and as been downloaded 6,416 times!!! More of my watercolours can be viewed in my portfolio on Wittygraphy for those of you interested. 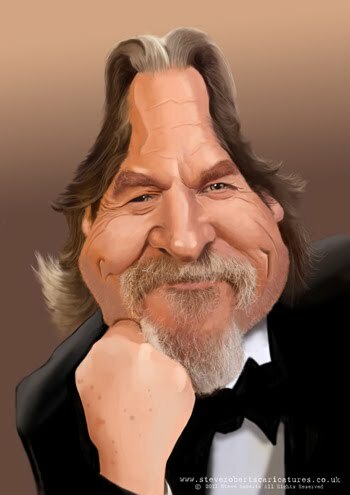 A caricature of actor Jeff Bridges currently starring in the movie True Grit. You may notice from the stepo by step process thatin the original reference photograph he was holding his Oscar but as the picture progressed I decided to remove the statuette and just go for a more relaxed pose. 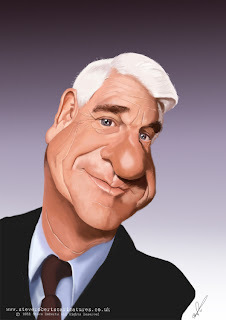 This is a caricature of comedy genius Leslie Nielsen who sadly died in November of last year. 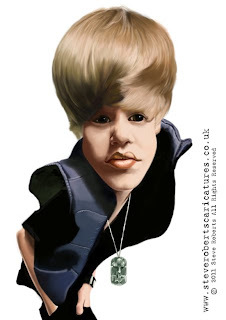 Interestingly remembered by one iconic line ... 'I am serious ... and don't call me Shirley'. For those of you who have not had the pleasure of listening to Karl Pilkington you really are missing out. He first step onto the ladder of fame came when he became the producer of the Ricky Gervais show on XFM radio London, and when, on one of the shows broadcasts, Ricky Gervais and Stephen Merchant asked him a question on live radio and were totally blown away by his response and the legend that is Karl Pilkington began. The radio show was followed by the subsequent record breaking podcast series and HBO animated television series The Ricky Gervais Show and most recently Sky one' s fantastic series 'An Idiot Abroad' which I absolutely loved and has made me a complete junkie for all things Gervais,Merchant and Pilkington. I think I must be the only person in the U.K. who hasn't seen the Original BBC series 'The Office' or 'Extras' nor any of Ricky's stand up shows ... I'm working my way through the back catalogue as we speak. 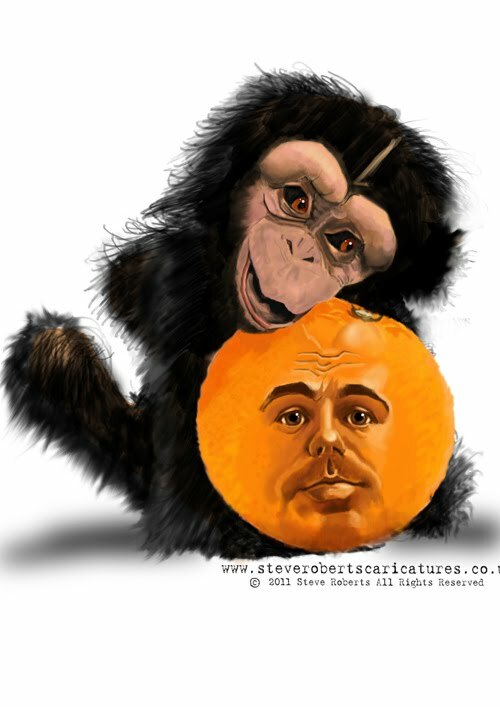 Ricky Gervais often describes him as 'the funniest man alive in Britain today' and often describes him 'having a head like a f*****g orange' due to its perfectly spherical shape couple this with Karls legendary love for all things monkey you have the inspiration for my Karl Pilkington caricature above. For more information on Karl Pilkington please click here. about to hit our movie screens with his film 'Never say never'. 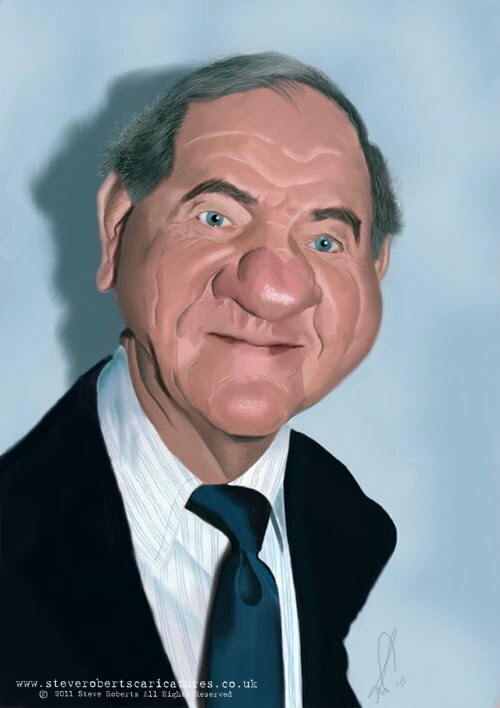 This is a caricature painted of american actor Karl Malden painted for this months caricature contest on Wittygraphy ... enjoy.